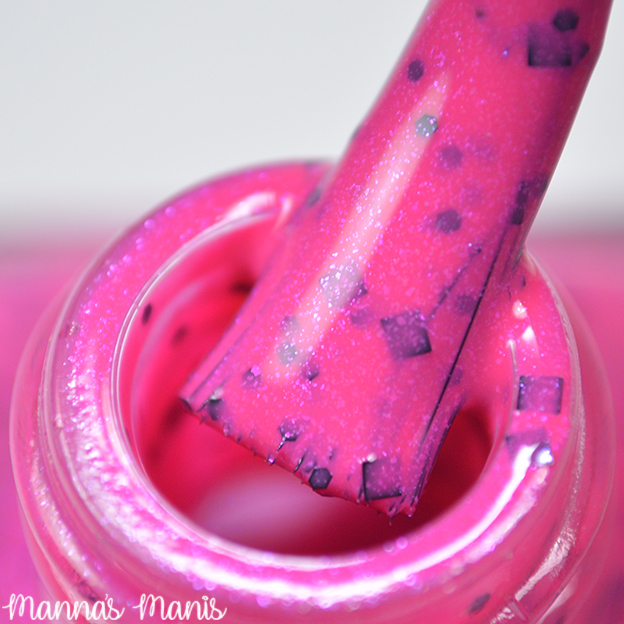 I'm back with more for the April Polish Pickup "Across the Universe." 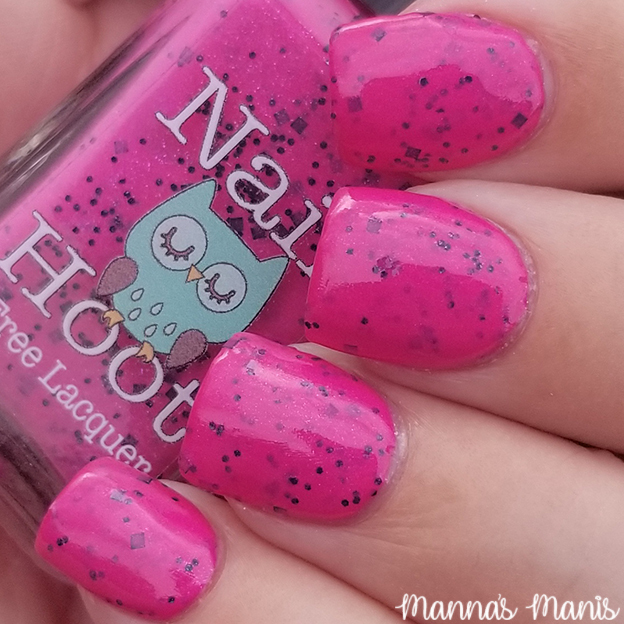 Nail Hoot chose a pretty pink nebula (hence the name) for their inspiration this month, and it does not disappoint! 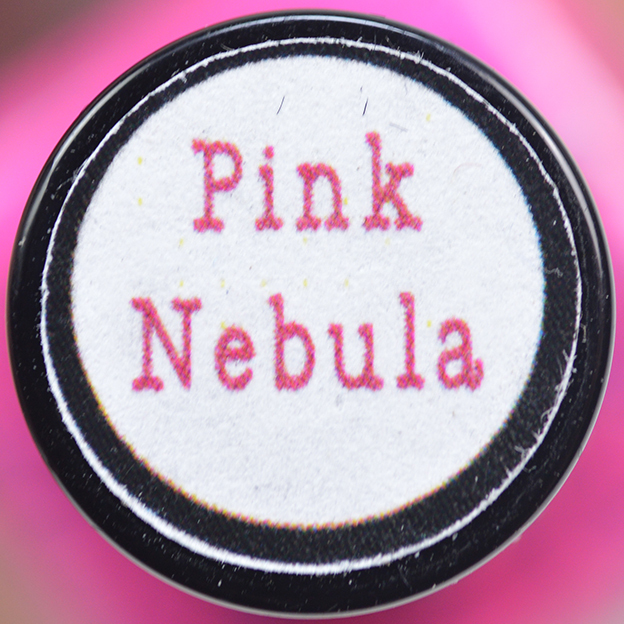 Pink Nebula is described as a delicious hot pink creme with a delicate sprinkle of black glitters and a dash of purple shimmer. Cremes aren't Brandie's thing, so I think this was her first polish with a creme base, and it's lovely! My only complaint is that my camera was NOT having this shade of pink, so depending on where you're viewing my pics, the shade may differ. Dang pinks! BUT, absolutely no complaints about the polish itself. No glitter fishing, no glitter dragging, great coverage. 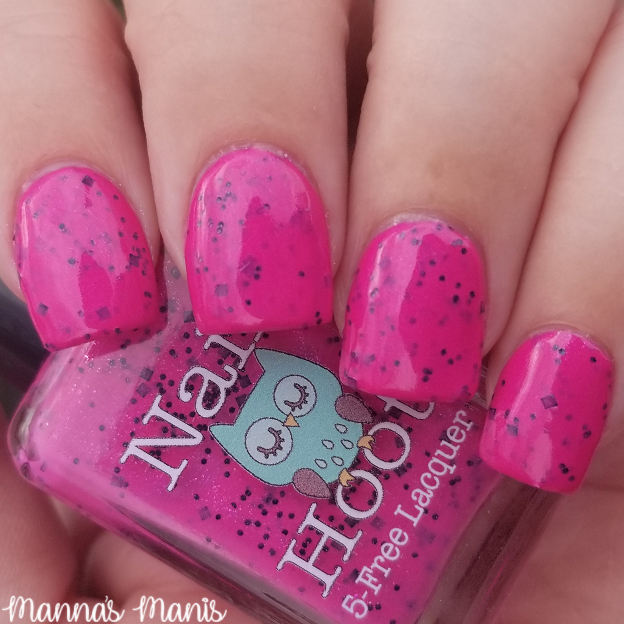 You can actually pull this off in one coat, but I did 2 coats to get some more of those pretty black glitters on the nail. Price is $9.25 with NO CAP. The last two pics were taken outdoors while it was overcast. Polish Pickup opens April 6th - April 9th. Shipping in the US is $3, Canada $5 USD.